Call me an i-deas man. Graphics are required to adequately express the purpose of a personal site like jamesbiller.com, or a business website such as geomitree.com. In both my personal site and Geomitree’s site I have incorporated i’s that shine with the design. I want to be known as an ideas man who keeps his ideas simple and beautiful. Simply understood designs operate the best aesthetically. This is why I use the light bulb, the symbol of ideas, as an accent to my logo-name. Shortly after coming up with my idea for the jamesbiller.com logo, I came up with the idea for the Geomitree logo. 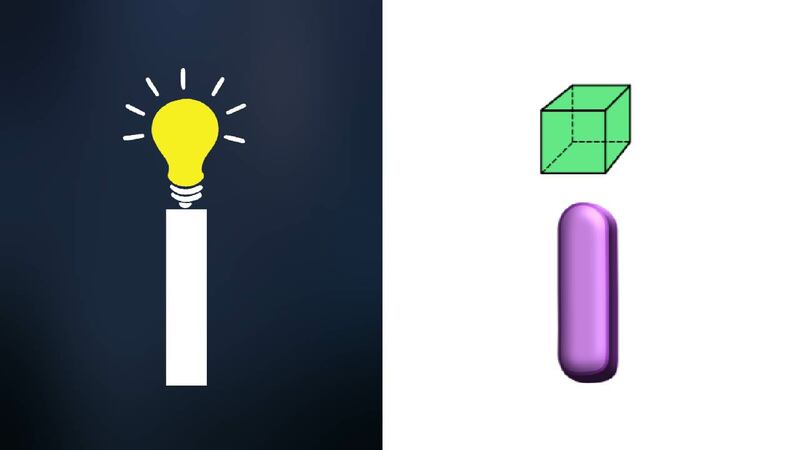 I was so excited about the “t” in Geomitree (being that it’s its own fictional species of tree) that I never made the connection between the necker cube and the lightbulb “i” until recently. 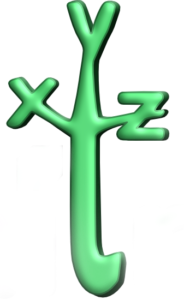 What I’m realizing I want to do with Geomitree is make it a place for people to buy their idea in a 3D printable form, which requires the XYZ Cartesian volume of 3D printers! Without the X, Y, and Z axis of the printer, peoples’ ideas wouldn’t get 3D printed. Everything has come full circle, or rather, full cube. I’m making my business idea (lightbulb) into physical reality, and my business idea will help people make their ideas into physical reality (cube).